After the nonsense that it took to get to Argentina, it was great to take a shower at the Bobo Hotel again in Buenos Aires. I am in room #5 at my request, and the shower still has the coolest port hole ever. 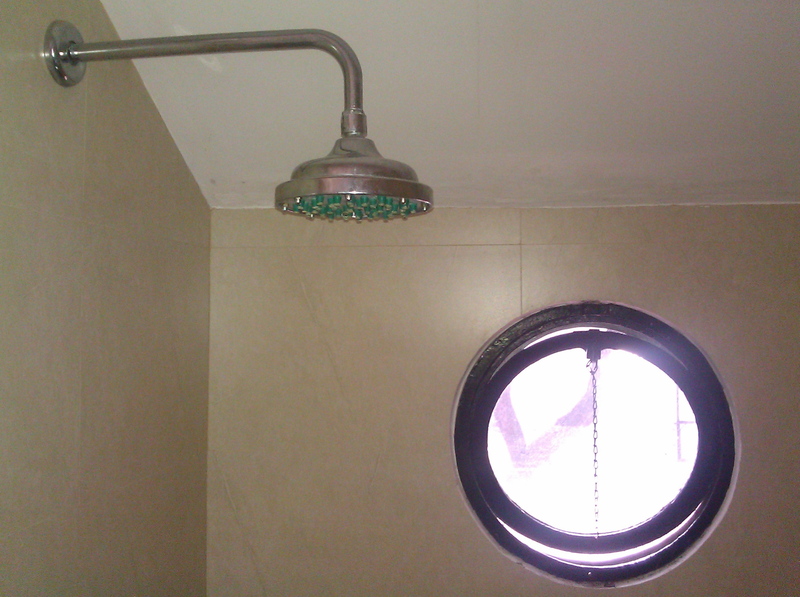 Port hole in the shower. About the only thing that has changed here is the TV situation. There’s a flat screen TV on the wall now where there used to be a small LCD set in a nook (simulating a flat screen WRT wall placement). But who cares about TV when there is Argentina to be visited?! The staff is great. The restaurant is very good (nothing like a steak and a malbec your first night in Argentina). The wifi is free. The neighborhood is cool. 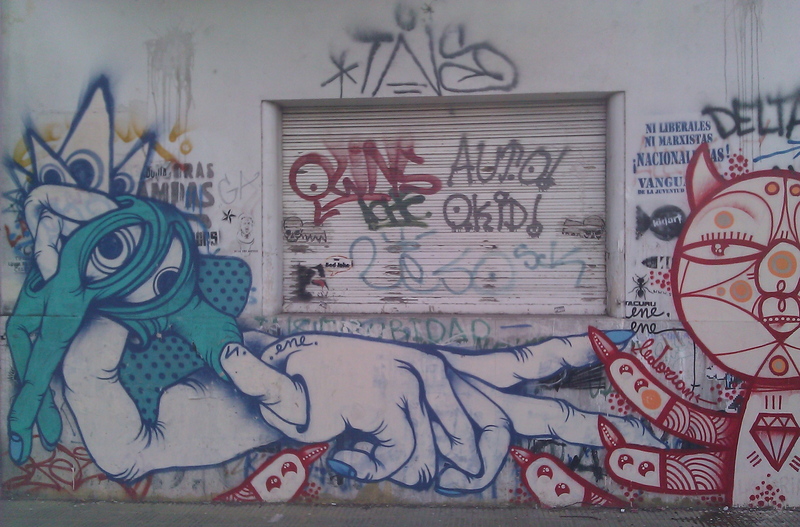 Graffiti is everywhere in Palermo, but at least some of it is interesting. Shake over crushed ice. Strain into cocktail glass. Fernet Branca is an interesting amaro originally from Italy and now more pervasive in Argentina than in Italy (go figure). The Portenos drink Fernet and Coke. The Bonsoni, from 1916, is very nice. 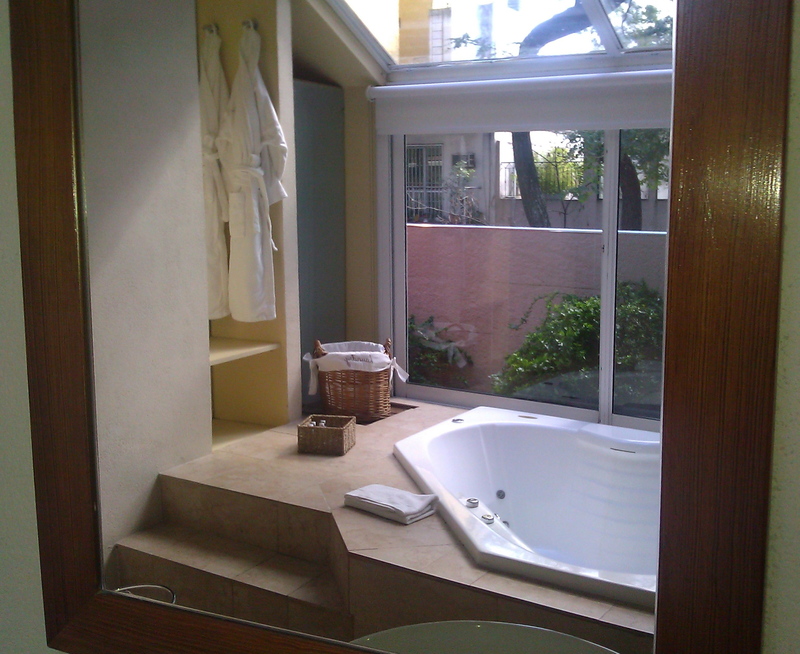 The hot tub and balcony through one of the many mirrors. Five showerheads for the Bobo. This place is superb. See more pictures here and here. Books in an adapted theater. Supremely cool. 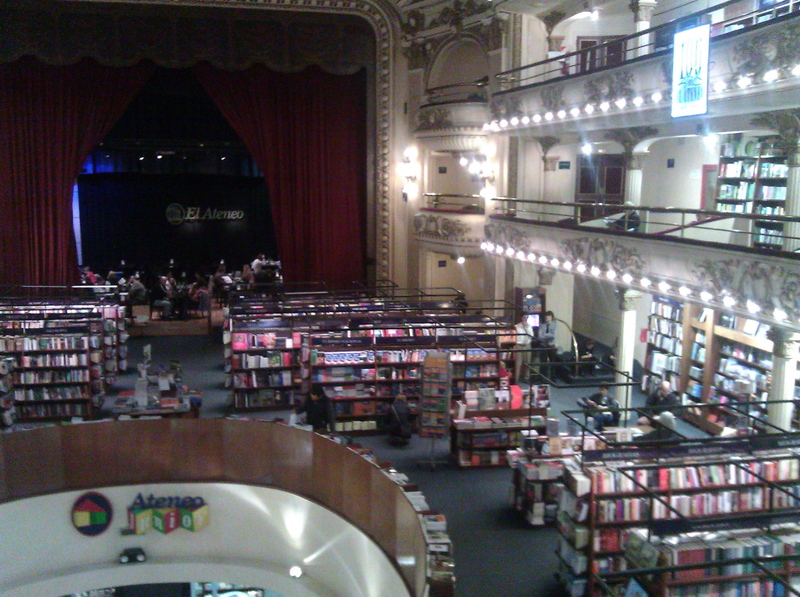 Visited “El Ateneo,” a phenomenal bookstore built in an old theater. Eventually bought a copy of Cochteleria Argentina by Rodolfo Reich. A business dinner at tegui was all it was cracked up to be. Superb meal all around. Drinks until 4am at Mundo Bizarro seems like the way to go. Of course everything in Argentina is not all shishi. 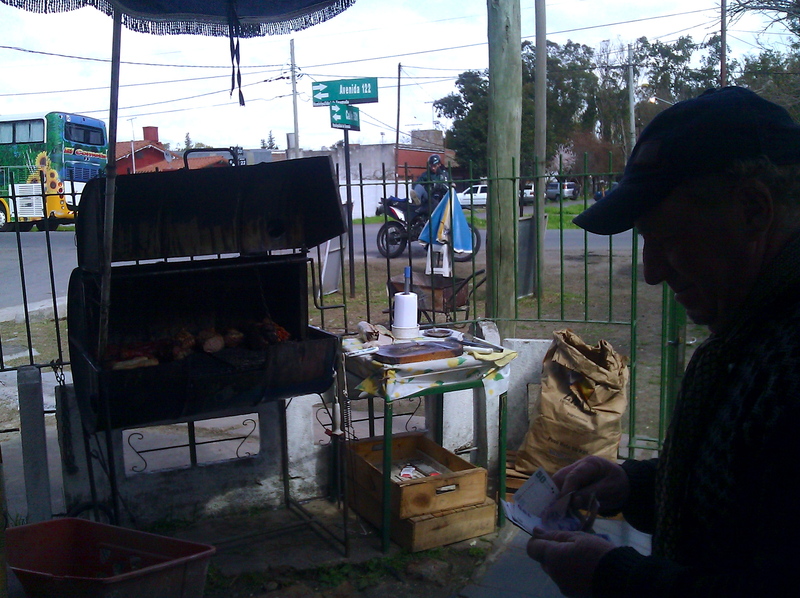 Here is where Ivan and I had lunch one day in La Plata. Michelin? No. Goodyear? Maybe. Delicious pork tenderloin.